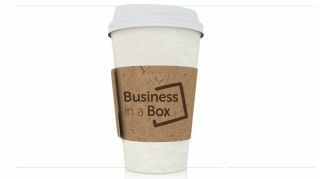 Novatech, in partnership with Microsoft, has launched a new solution for small and start-up businesses, a pay-as-you-go "Business in a Box." The "Business in a Box" solution combines hardware, software and support, all bundled together with the aim of reducing installation, security and support costs. According to Novatech "The most common technology problems young companies face are not only the initial outlay required to buy a scalable and efficient network, but also the cost of professional set-up, maintenance and support. They also need simple and secure remote access to their data and documents anytime, anywhere, safe in the knowledge that it will backed up automatically and regularly." The 'Box' contains a basic server with Microsoft Small Business Server 2011 Essentials, their chosen number of laptops or desktops with Windows 7 Professional and Microsoft Office 2010 Professional pre-installed, a printer and a comprehensive range of warranties. In addition, they also get free installation and set-up by one of Novatech's trusted partners and free tech support for life. Wybourne explained that the Business in a box is a, "simple package of great hardware, at a realistic price and quality local tech support. It gives you all the technology you need to get your business moving, to stay secure and effective, for less than the cost of a cup of coffee a day; which is probably the most crucial part."